ORCA Alliance, an EU-based fintech startup, which is bridging crypto and traditional financial services, faces some unexpected challenges while registering its trademark at the EU trademark registry system (EUIPO). Surprisingly, the world’s largest insurance company Allianz has made an attempt to block the “ORCA Alliance” trademark registration. “Allianz” claims that the trademark “ORCA Alliance” is highly similar to the trademark “ALLIANZ”, and therefore requires “ORCA Alliance” to withdraw its application and never use the word “Alliance” again. “This opposition was quite a surprise for “ORCA Alliance”. We can only guess why “Allianz, S.E.” has decided to do this. Most probably such action is dictated by the corporation’s intention to launch their own token. However, after receiving the feedback and considering support from our community we’ve decided to proceed with trademark registration. I hope that “Allianz” will take the opportunity to withdraw the opposition since there is an obvious and significant difference between our brands.” — says Natan Avidan, CEO and Founder of “ORCA Alliance”. It is important to mention, that earlier this year “Allianz, S.E.” announced the intention to issue its own token — called ‘Allianz token’. To this date, there are 510 registered trademarks that contain the word “Alliance” in the EU trademark registry system EUIPO, 36 of them are registered within the same financial service category as “Allianz, S.E.” is. A fintech start-up submitted a request for its trademark “ORCA Alliance” registration in EUIPO on April 24, 2018. On August 2, 2018 “Allianz, S.E.” submitted an opposition letter regarding the “ORCA Alliance” trademark registration. Both parties can still reach an agreement during the “cooling-off” period until October 22, 2018. In case this doesn’t happen, the proceedings will begin and a final decision will be announced only on July 1, 2019. The aim of the “ORCA Alliance” platform is to facilitate mass adoption of the crypto economy and integrate it with the current financial system led by government-backed currencies. ORCA stands for Open & Regulated Cryptocurrency Adoption. 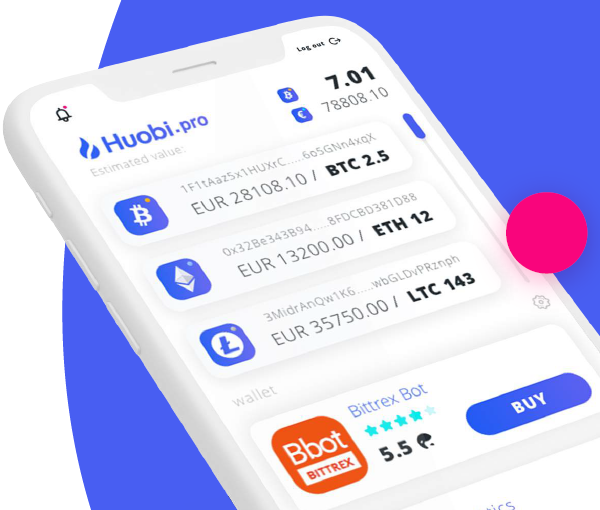 After we received a trademark opposition from Allianz SE, we decided to consult with our community in order to gather insights on how to proceed. The community has spoken and showed overwhelming support for our initiative and advised us not to back down. Majority of respondents (78%) answered that they are familiar with the Allianz brand, however, only 35% have actually used its services before. 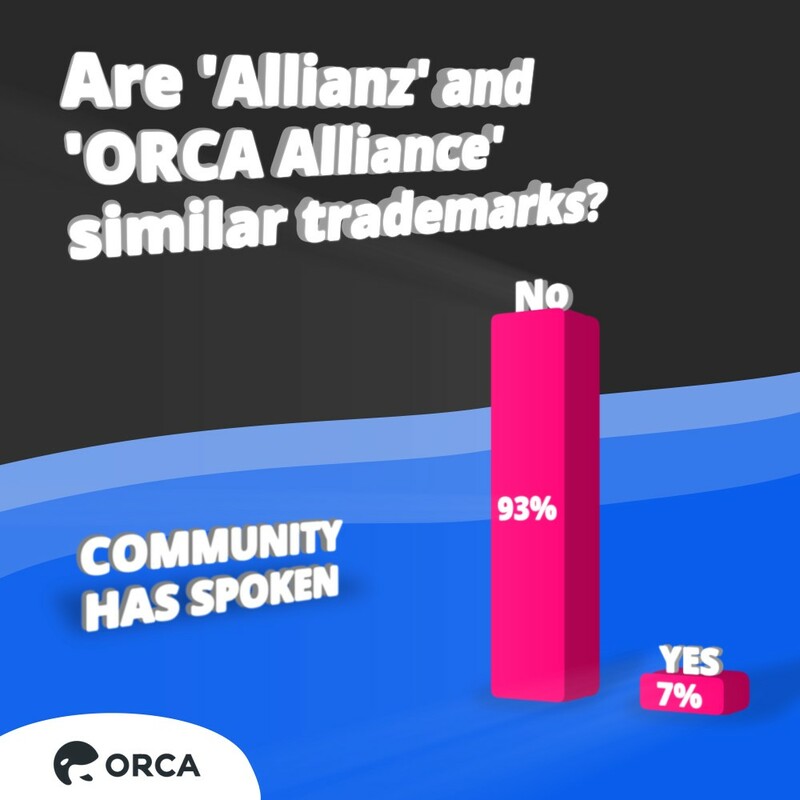 When asked if they think that ‘Allianz’ and ‘ORCA Alliance’ are similar trademarks the overwhelming majority (93%) said ‘No’. What is more, roughly the same amount of people responded they do not think that the financial services company ‘Allianz’ has the right to own all trademark claims including a general word like ‘Alliance’, nor do they think that it could cause confusion having these two brands coexist simultaneously. The most popular course of action suggested by the ORCA Alliance community (49%) was to bring this matter to the public and challenge Allianz’s opposition openly. We are extremely grateful for the support you showed us and promise to do our best to drive this issue to the most positive outcome. We will surely keep you informed if any major developments come up. Stay tuned. You can book your place for the second round of ORCA ICO by visiting www.orcaalliance.eu and completing the whitelisting process. Also, follow us on social media and always stay up to date. Not backing down: World’s largest insurer Allianz tries to bully ORCA was originally published in ORCA. Open Banking meets Cryptocurrencies on Medium, where people are continuing the conversation by highlighting and responding to this story.